Amsterdam’s Kristian Santos was the area’s lone selection on the recently announced Section II boys swimming small-school all-star team. Santos, who was named to the first team, won the Section II Division II (small-school) title on Feb. 14 with a six-dive total of 459.45 points. Santos placed 19th overall at the state championship meet. He also set a school record with a three-dive total of 275.45 points for the Rams on Jan. 29. Shenendehowa’s Ryan Gordon was named the Athlete of the Year, while Glens Falls’ Kevin Crossman was chosen as Coach of the Year. In addition to Gordon, Nick Hooper, Eric Tsui and Adam Bonk were named large-school, first-team all-stars for Shenendehowa. Also named to the first team were Bethlehem’s Gunnar Zemering, Niakyuna’s Emerson Wells, Shaker’s Tim Buff and Guilderland-Voorheesville’s Reid Zynieski. Shaker had Brian Nolte and Will Matz named to the second team. Also earning second-team honors were Niskayuna’s Evan Melby, Ballston Spa’s Chris Vesic and Shenendehowa’s Luke Gordon. Joining Santos on the small-school first team were Glens Falls’ Tyler Duguay, Garrett Frandsen and Nick Wilkinson. Also named first-team all-stars were Albany Academy’s Alex Dresibach, Nike Brosnihan and Queensbury’s Matthew Walton. Albany Academy had Wyatt Pritchard and Bennett Stahl named to the second team. 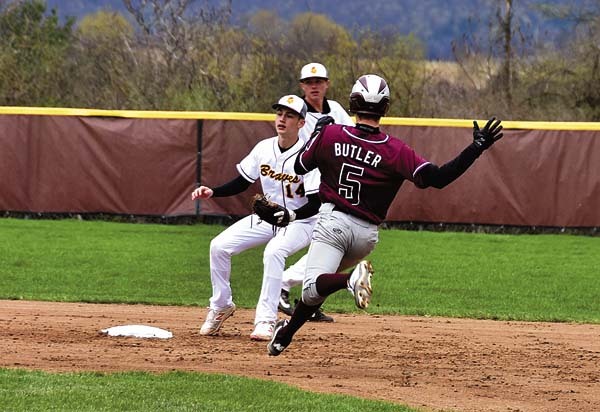 Rounding out the second team was Burnt Hills-Ballston Lake’s Brandon Beaudoin. Nick Wilkinson (Glens Falls), Alex Dreisbach (Albany Academy), Niko Brosnihan (LaSalle), Kristian Santos (Amsterdam), Matthew Walton (Queensbury), Garrett Frandsen (Glens Falls), Tyler Duguay (Glens Falls).